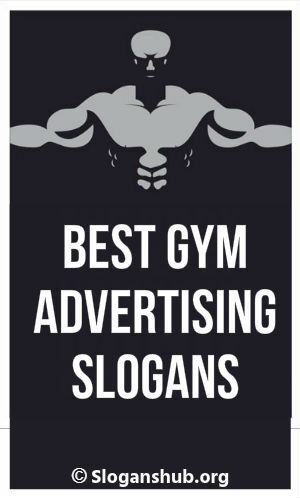 In this post, we’re going to share with you a list of 70+ gym advertising slogans & taglines. Congratulations, you have a gym! Now you just have to sit back, relax and wait for customers to flow in. Right? No. The gym business has grown quite competitive over the years. New gym owners are finding it very hard to attract and keep customers. Starting a gym business is a great milestone, but that is just the initial step to building a successful business. You still have to advertise it. There is a myriad of advertising strategies you can employ, both digital and orthodox. But before you even dive into the whole marketing thing, you first have to decide on how your brand will be recognized by your customers. One great way to do this is by using catchy slogans and taglines. It is very unlikely that your customer will read tens of pages of your sales letter, but one thing is for sure, they will read your slogan or taglines. And that is all the convincing they ever need. 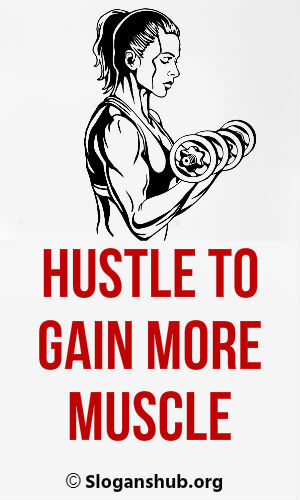 Your slogan sells your gym business to your potential customers in short and precise words. In just a single catchy sentence, you will be able to show how unique your brand is and why customers chose you over the plethora of other businesses offering the same service. A really great slogan or tagline will also succeed in giving the prospective customers a reason why it is important to enroll in your gym. People do not usually remember the brands from their sales letters or lengthily social media adverts. The first thing a person will do if you ask them to recall a particular brand will be to visualize the company logo. After the logo, the company’s catchy slogan will flow into their memory. Why? The logo and slogan are the two most important ingredients of brand awareness. They are the unique features that represent the brand identity in the memory of your potential customers. The logo in itself is great for brand awareness but most of the time, it needs words to give it meaning. That is why the importance of Slogans and taglines cannot be overlooked. See how other gym owners are using the power of words to attract more customers. Boosting self-confidence & promoting a healthy future! Get the body you want at the studio you love! Every business can have a slogan, but not every business can have a great slogan. We are here to ensure that your slogan is not merely a bunch of words, but a message that can inspire customers to be part of your business. We have been writing slogans and taglines for many years and have watched with increasing satisfaction as our clients enjoy business success after using our services. We know the right kind of words to use for your unique business. 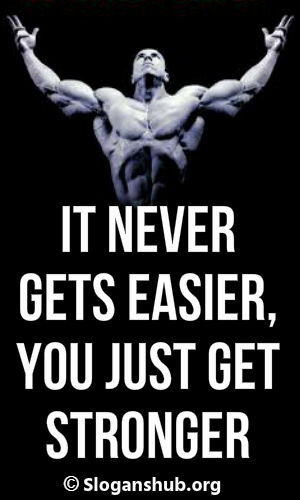 Your gym business needs a great slogan and we are the right people to propel your brand to success. 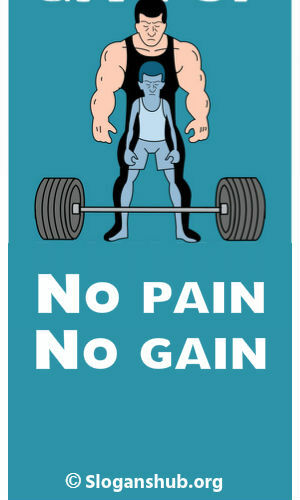 Visit our order page right now and let us write a slogan for your gym. We have a 100% money back guarantee, so if you are not satisfied with our services, we will be glad to return the whole amount. So you don’t have to worry that you will spend your money on something you don’t like.